It's been a while since I last posted anything on the hash site. 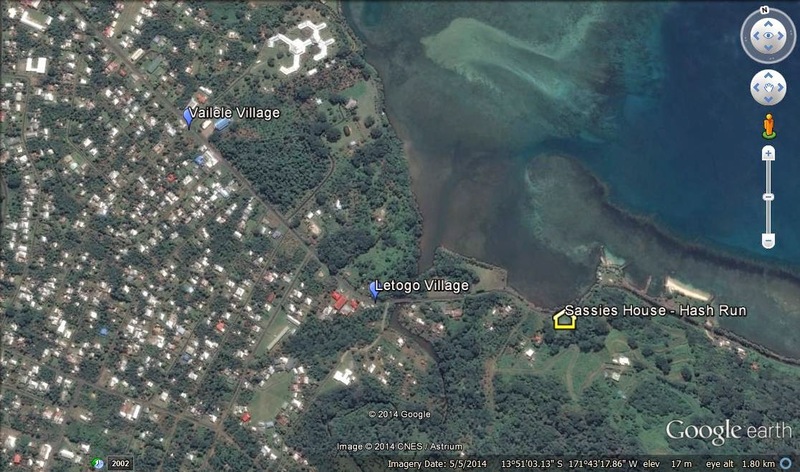 This Monday's run will be at the Sass Home in Letogo. SOTB and Alcatraz are back for a couple of weeks and keen to host a run! Run will start at the normal time of 5:30pm so try be on time as this will be a bit of a bush run. The hosts will be putting on the food so bring your running gear, hash cash and a change of clothes. Hi, I'll be in Apia December 7-10, and I'd love to join you guys. Would anyone be willing to give me a ride to that week's run? I've only hashed a couple times, but, hey, when am I gonna be in Samoa again? Naturally, I'll bring beer. Hash Run #1729 - @ Y-Not! Hash Trash Run 1727 - from Poumuli in Germany..